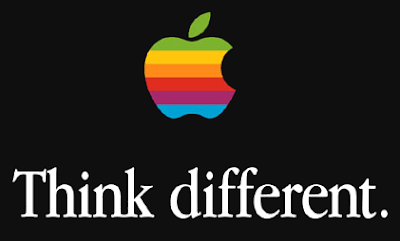 Somehow or Someway Apple has now become the World's largest and biggest Mobile Technology Litigation Company in last two years as compare to its competitors i.e. Nokia, HTC, Samsung, Google, Kodak, Motorola, Elan etc. It’s true that many Patents’ Lawsuit and Litigation are going on in this year as well as previous two years either its patent’s lawsuit war between Apple and Samsung, Apple and Nokia, Apple and Google or Apple and HTC etc. but the winner of biggest Mobile Technology Patent's Lawsuit is surely an Apple. According to an intellectual-property consulting firm called Kanzatec IP Group; Apple is indirectly or directly involved in at least 80 percent of all the mobile technology litigation and patent's lawsuits that took place in the last two years and in year 2012. 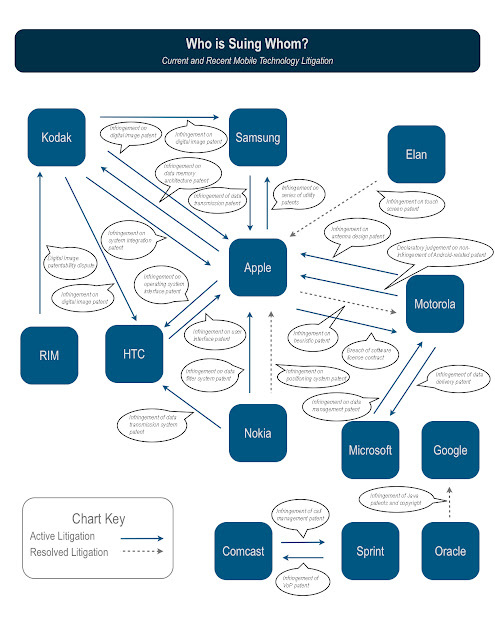 We will show you an Infographic based on World's largest and biggest Mobile Technology Litigation and Patent's Lawsuit Company entitled "Who is suing Whom?" which you will find interesting. "I would speculate that Apple will continue to be at the center of the litigation map of large mobile IT companies for as long as it maintains its dominant place in the market"
Apple has achieved and gained alot of profits and revenue in the last 2-3 years and has become the biggest and largest mobile technology company in the world in terms of market revenue and market share. Hence, it is a direct target for any small or competitive companies. Recently, Apple was sued by a company in the U.S, who claimed that Apple had stolen their noise reduction technology. Apple recently paid about $60 million as settlement to Proview, a Chinese company who stated that the iPad trademark belonged to them so you may think that how Mobile Technology is evolving and how Patent's Lawsuit and Litigation is become so important and crucial for Mobile Companies. So let’s find out the following Infographic entitled "Who is suing Whom?" and based on World's largest and biggest Mobile Technology Litigation and Patent's Lawsuit Company.